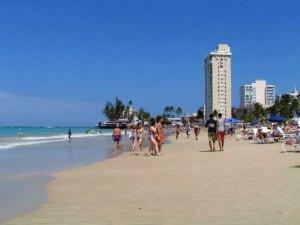 Now all the locals know the best place to go around the San Juan area is Isla Verde. It’s a majestic, 200 feet wide strip of that genuine light tan sand and surf that is so gentle, you’ll say you’ve found paradise. We used to call them the “Jet Set”, but whatever you call them, people who want to be seen tend to stay toward the El San Juan Resort & Casino and the Intercontinental San Juan Resort & Casino. That’s where the amenities are, and we found the beach just as nice. 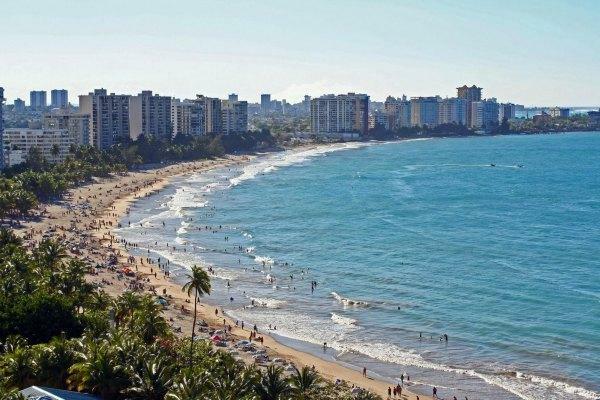 Pull up a chair and umbrella, because Isla Verde is one beautiful beach. With nice people having a good time, we could sit for hours and literally people watch (if our favorite novel came to an end). But here, you could write your own screenplay because everything is right here. You have the Casinos close by, the resorts, the water sports, the dining, and the mystique of wondering who may be sitting near you. Create your own James Bond moment right here in the Caribbean. Sit for a little and you’ll see people enjoying kayaks and PWC’s, or jet-skis as we used to call them. Plus as we said, this beach beats most for enjoyable swimming with nice wave action and the not too big surf. Families trek here all weekend long, and hate to go back home. When you’re hungry, you’ll find Isla Verde Avenue full of restaurants. Do yourself a favor and take a break from the fast food. Order some delicious take-out Cuban sandwiches or their awesome shrimp mofongo from the local Mi Casita which is in the Plazoleta de Isla Verde. Take the sandwiches to sea – and sit on tables oceanfront, or simply in the sand and watch the action. Make sure you check out San Juan Waterfun with everything you can imagine in water sports. They have the kayaks and Hobies and everything in between, including the fun banana boat ride! Sand – fine, and a little deeper here. Has a nice golden hue. Facilities – abound with many rentals available. Shade – some palms, otherwise choose umbrellas. Sports – all, however snorkeling/diving is not great. Notes – this is where it’s at around San Juan.